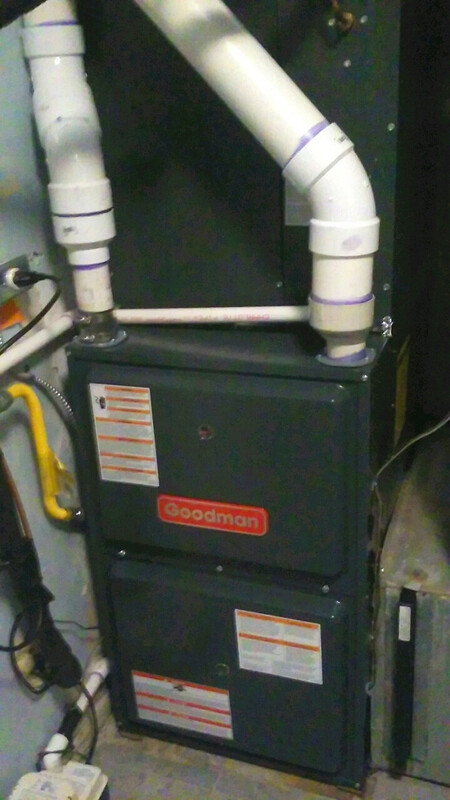 WHAT MY NETWORX CONTRACTOR DID FOR ME: Took out my old furnace and installed a new 2-stage system. WHY I CHOSE HIM: Lowest bid by far. With a 27-year-old furnace in our house, I didn’t want to take any chances that it would stop working right in the middle of the winter. Also we’re planning on selling the house next year, so I am starting to get it in shape. I wanted to have a new furnace installed this fall before it gets cold, while the HVAC contractors are more available. Prices tend to be lower at this time of year, too. The man who put in our air conditioning 8 years ago has since passed away and I couldn’t find a contractor through word-of-mouth referrals. So I did a google search and as the result of finding Networx, I was called by 3 different furnace contractors. All 3 of them came over and gave me an estimate. The real reason I chose Prestige HVAC was price. The first contractor bid over $10,000 and my response was simply, “WHAT?” The second person bid $6800. The third person (Prestige) said $2200, so I took him. Because I had done some advance research on the internet, I asked him to give me a 2-stage furnace. It’s an energy-efficient furnace that doesn’t put on the high blower fan as soon as it starts up, so it saves electricity. If you have it set at 65 degrees, and the room goes down to 64, it doesn’t put on the full blower like standard furnaces. 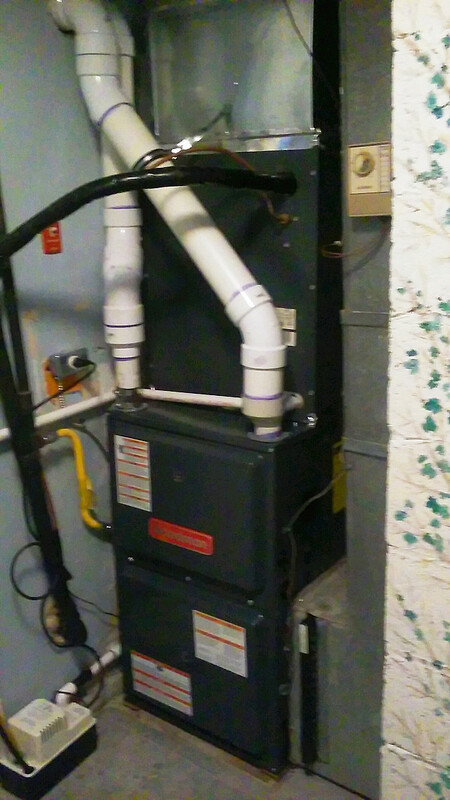 The only way the full blower goes on with this type of system is if room temperature drops 10 degrees or so lower than your furnace’s setting. It’s a more precise type of system. Even with this upgrade, the contractor only charged me $2500, which included the furnace, labor and everything -- and was still only a quarter of what the first person quoted me. Taking the old furnace out and installing the replacement took him one day’s work, from 9 to 5, and that was it. He was very good and very neat. Because my existing thermostat couldn’t handle this type of furnace, he threw in a new thermostat too. My advice when you want to find a good contractor: Get at least 3 estimates. The first company does a lot of advertising on TV. Even before he gave me the estimate, I had a feeling that his was going to be highest. He went outside and measured the house, which I don’t think was really necessary. More advice: Pay attention to the vibes you get from the person, whether you feel they’re trying to pull the wool over your eyes. I’m a salesperson so I know what’s going on. The guy I hired is a young immigrant who obviously doesn’t have a big company, but I felt he was trustworthy. Besides, if it didn’t work out, at $2500 I’d still be saving money -- even if I had to get someone else to put the furnace in -- but as it turned out, he was great. Urgent Air Conditioner Repair at Pizzeria Caught in a Heatwave by Melina M.
Find A Handyman Who Responds Fast And Knows His Stuff by Chris C.